Quick and Easy to apply for thicker, fuller looking hair. Fill in thinning areas, parts and visible scalp. Touch up grey roots to extend time between colorings. Can be used on eyebrows, moustaches and beards. If you are almost bald, this is not for you. But if your hair is thinning and you don’t like seeing your scalp in the mirror then this product is for you. I am thinning in the front and middle areas and when I spray TopSecret the areas become instantly thicker and fuller looking. The results are instant and undeniable. I love that you can control how much comes out. You can build it up and avoid clumpy spots to get a more natural even coverage. It does exactly what I want it to do. Pretty impressive, I must say. After chemo, my hair grew back pretty thin on top which made me very self conscious. I found this online and thought why not give it a try and to my amazement it worked wonders. 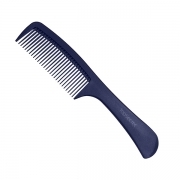 It covers the thinning areas on my scalp and I really helps me feel like my old self again. I HIGHLY recommend it! I have been using it for a while now and couldn’t be happier. It is so easy to apply, and you can't tell its there at all, so natural looking. It's given me my back my confidence. It’s very hard to accept that your hair is thinning, especially for a woman. Really helps fill in my thin areas. And I love that it' stays put, even when I go to the gym. I did buy their grooming cream and hair spray, but seems to work well with or without using them. If your hair is thinning buy it! You won’t regret it! I’ll admit that at first I was hesitant to buy this product because it looked too good to be true, but now that I've used it for several weeks I must say that I truly love it and it delivers on all of it’s promises. It covers the thin spots on my scalp and undoubtedly makes my hair look MUCH thicker and fuller. Will definitely be buying again when I run out. 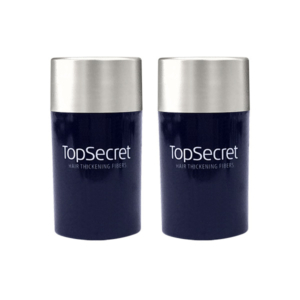 Disclaimer: Top Secret is a temporary cosmetic solution to enhance the appearance of your hair while filling in thinning areas, parts, receeding hairlines, eye brows and facial hair. TopSecret is most effective when you have at least some hair for it to blend with.